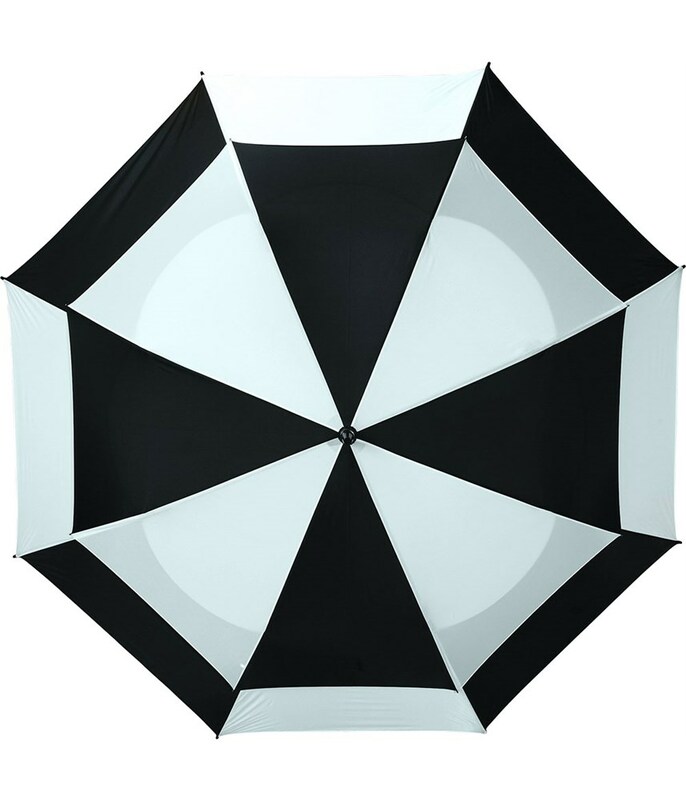 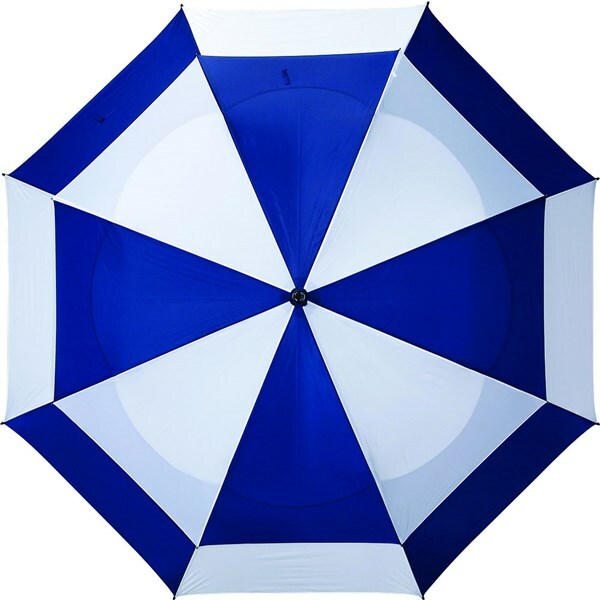 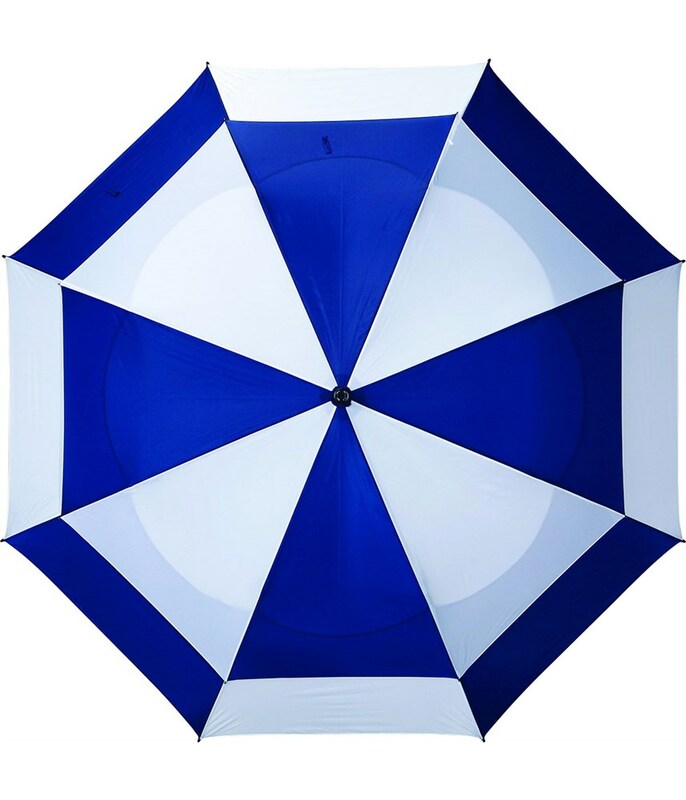 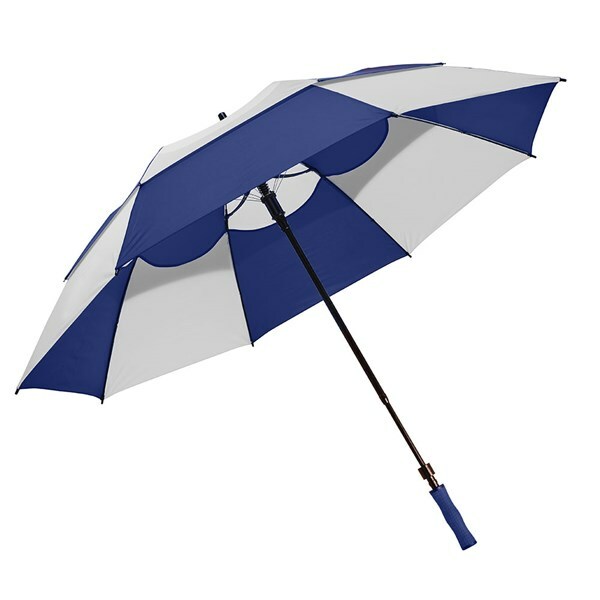 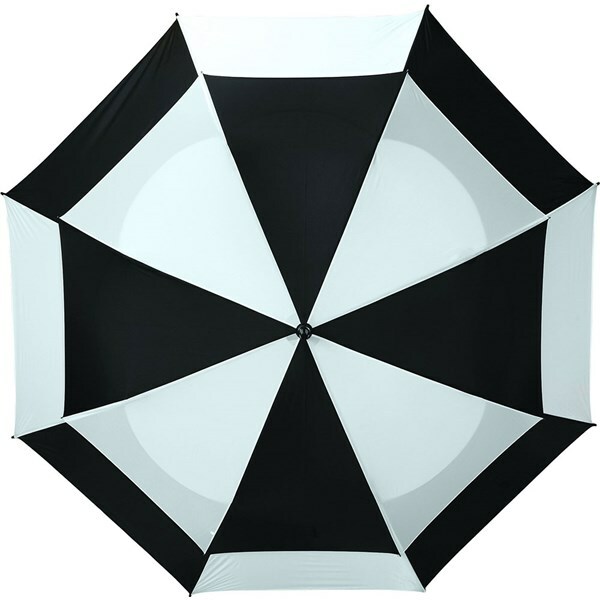 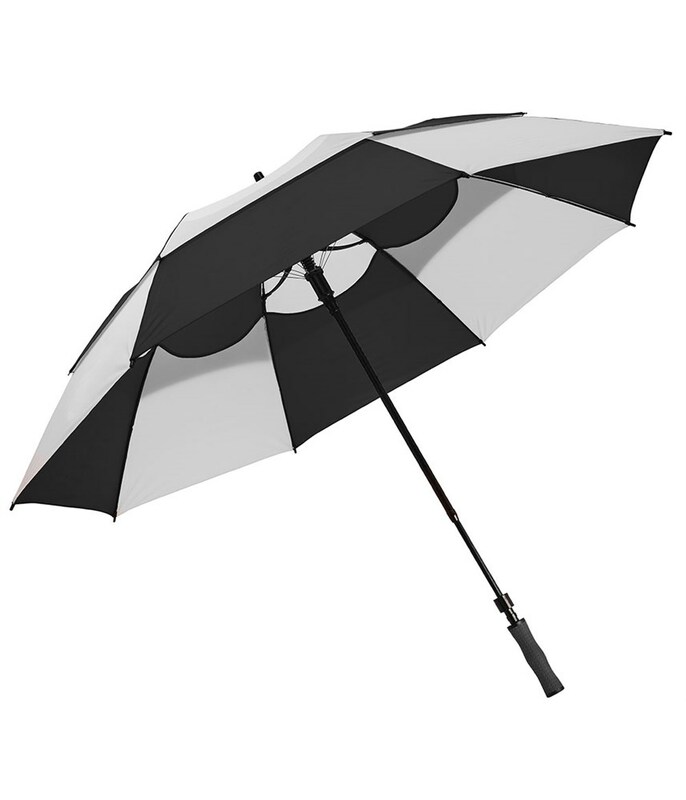 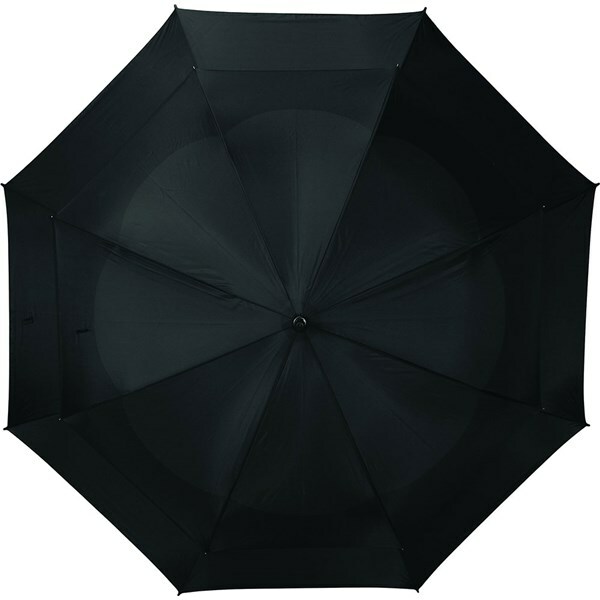 The BagBoy Wind Vent 62” Double Canopy Umbrella has been proven to withstand winds up to 70 mph. 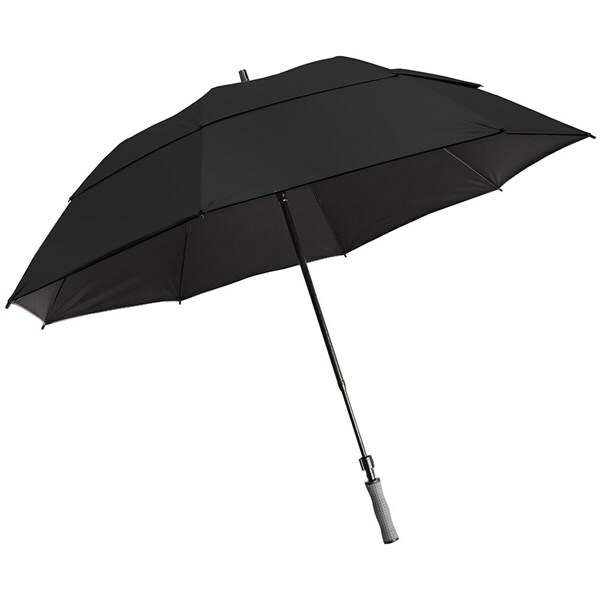 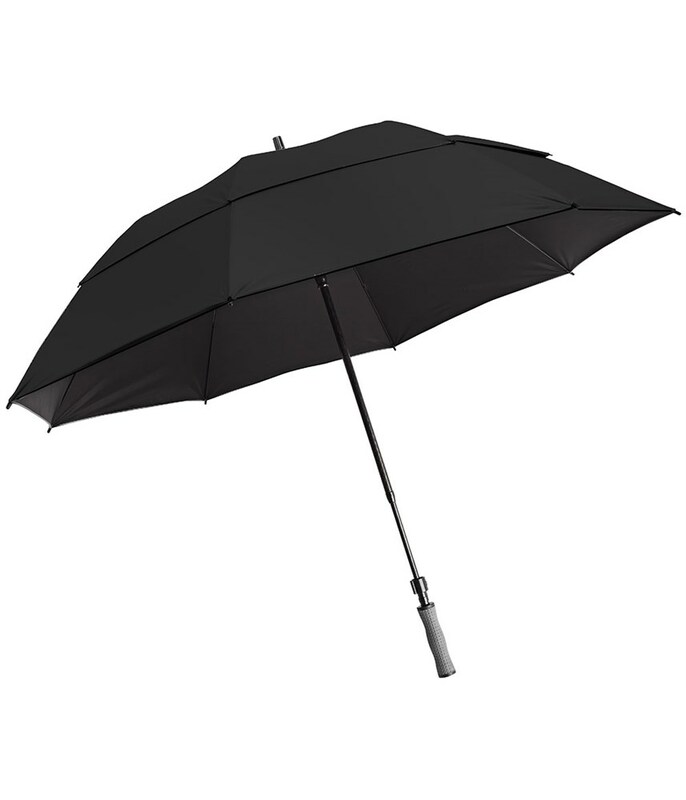 This will allow you to stay protected from the wind and the rain even in the most awful of weather. 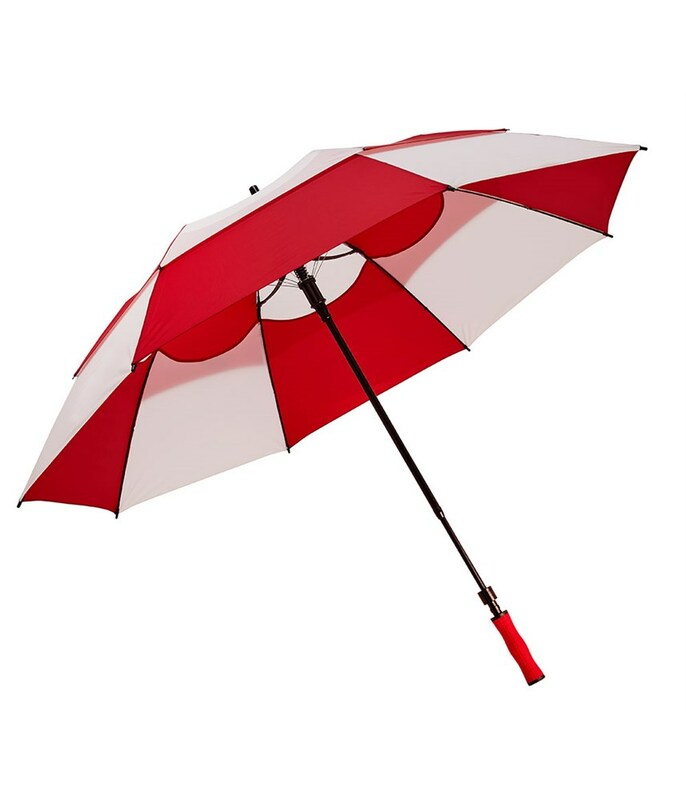 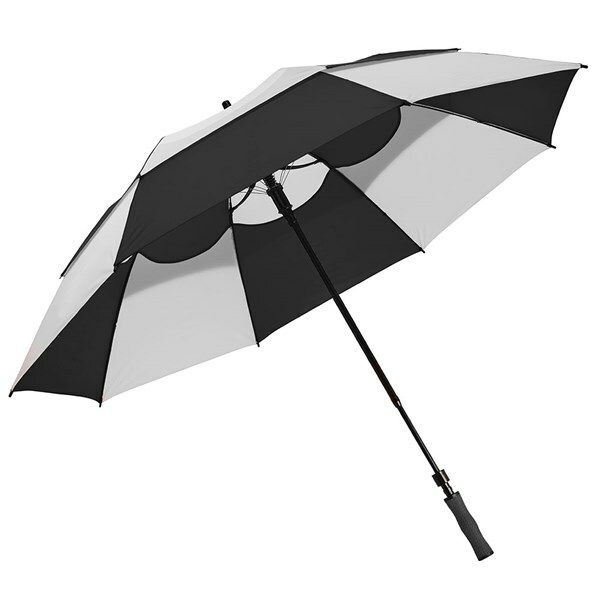 By using a reinforced shaft, ribs and hub design BagBoy have been able to make sure this umbrella does not conduct electricity so you can use even when lightning is close. 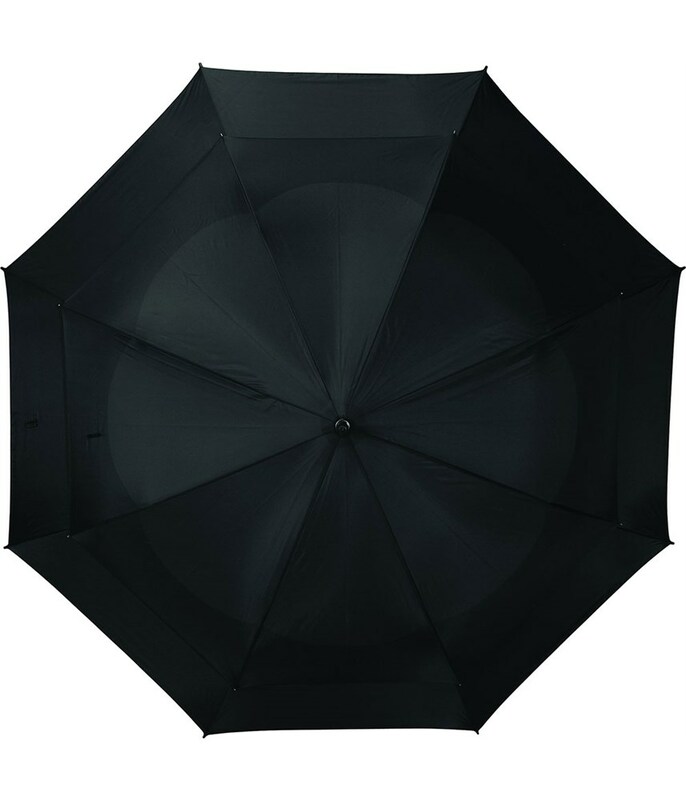 The 62” double canopy design offers your brilliant protection and coverage to you and your golf bag. 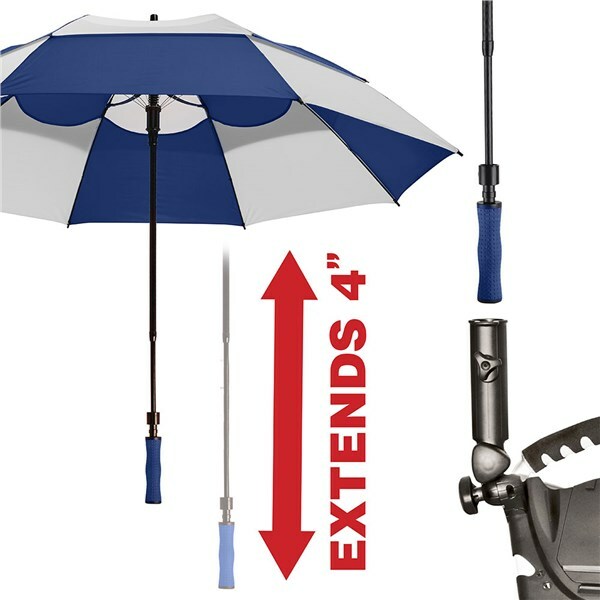 BagBoy have used an ergonomic handle that is comfortable to carry and will also fit into the majority of trolley holders. 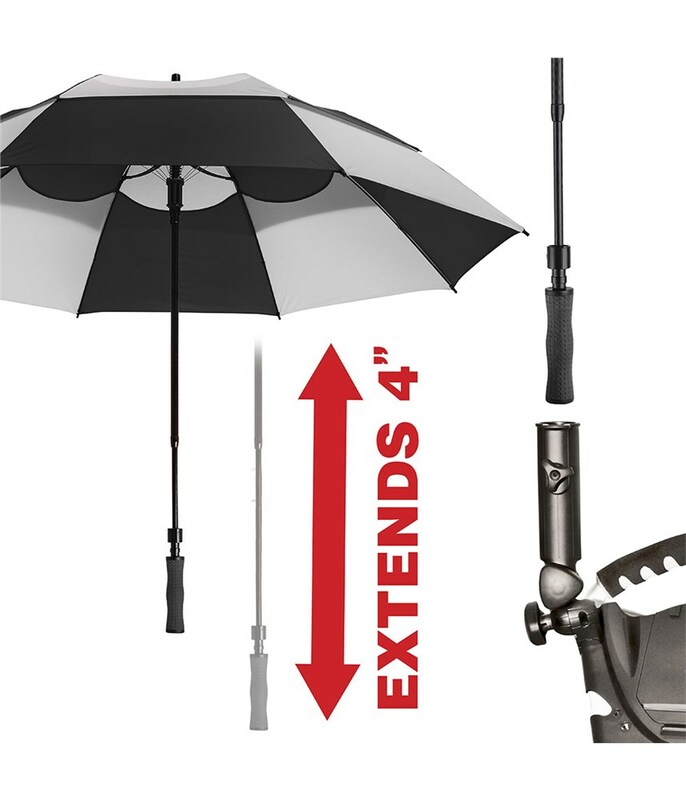 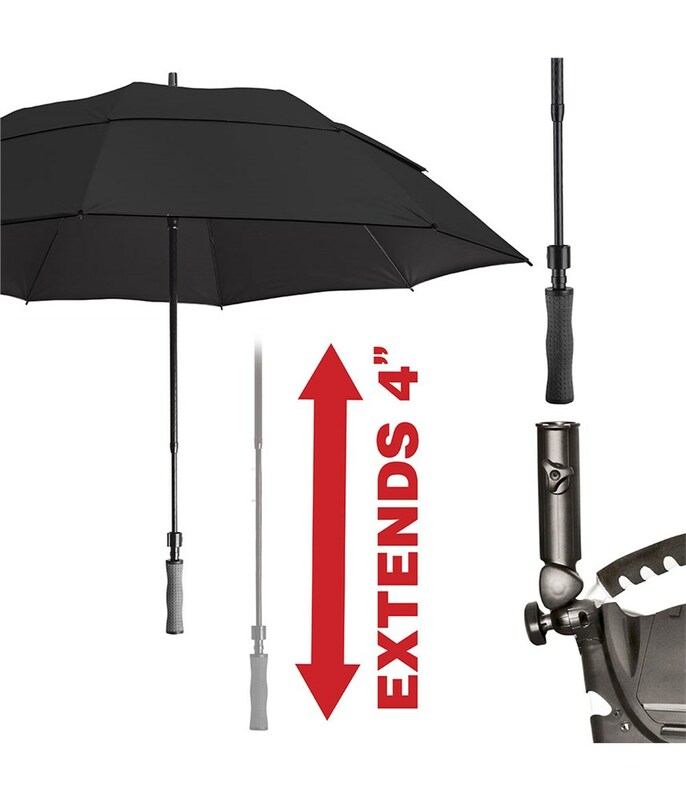 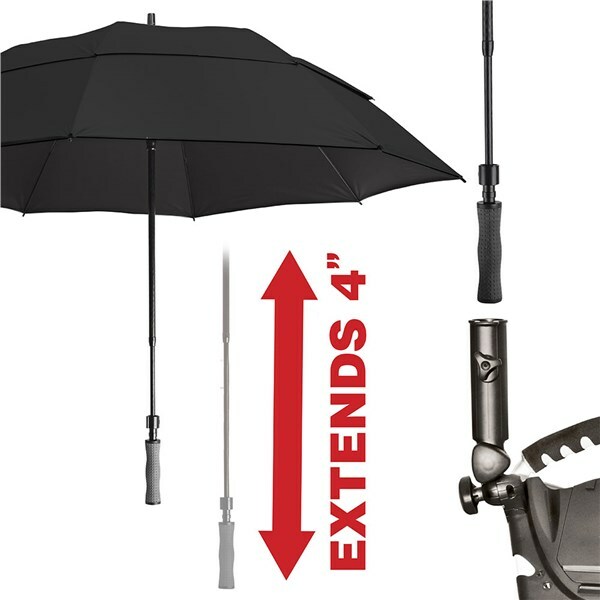 Another feature of this umbrella is that it will extend up to 4” making it ideal for tall people who use trolleys.